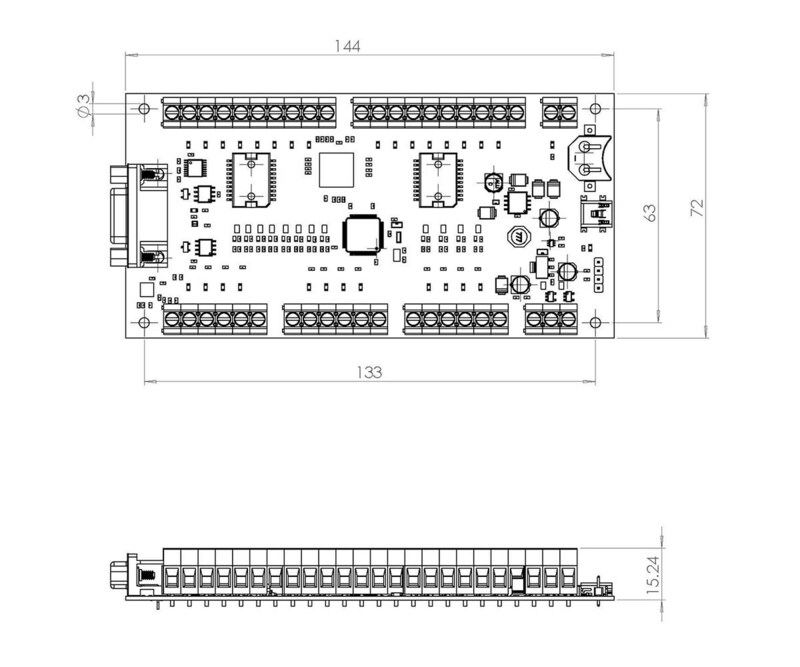 Roboteq's I/O eXtender (RIOX) module is an intelligent I/O expansion card, with an Altitude and Heading Reference System (AHRS), that seamlessly integrates with Roboteq Motor Controllers. The module features 12 inputs, each of which can be individually configured as digital, 0-5V analog, or as pulse inputs. 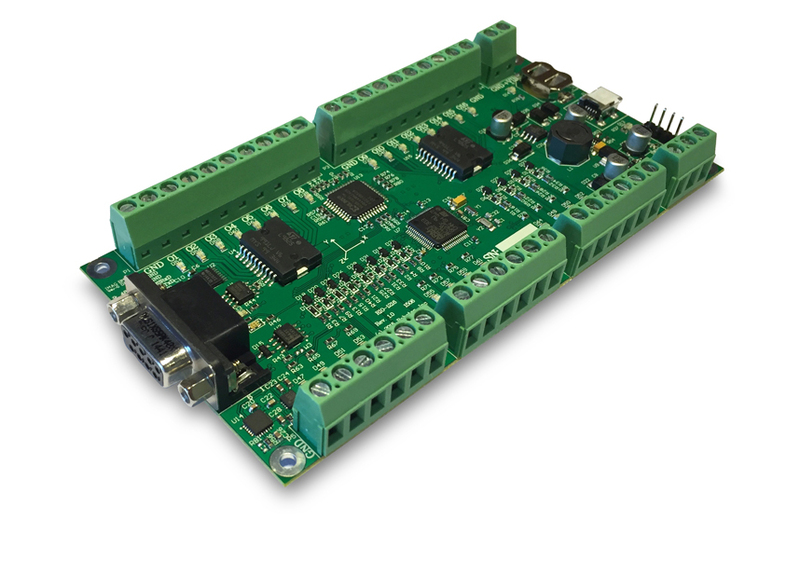 The RIOX module has 16 Digital Outputs capable of driving loads or motors up to 1A each at 40V. Each output can be used as Input as well. The card also includes a 32-bit ARM microcontroller for processing and buffering the IO, and run simple and powerful programs using a simple programming language. RIOX provides a standard RS232, CANbus and RS485 interfaces for communication to Roboteq Motor Controllers, PCs, PLCs, Microcomputers.